Shova has been working in Shamrock from 2009 as a volunteer. She like to work with children who are very motivated to learn. She started her job as Principal from 2013. She is a mathematics teacher as well. She also look after keeping records of the school financial part and administration as well. Talking about her education, she did her schooling in convent school. She has completed her master degree in Business of Administration in major finance. She believes in uplifting Nepal through good education. In leisure time she likes to read books, cooking, zumba fitness class and visiting new places. Suraj is the Social Studies and Optional Geography teacher at Shamrock School. He is also the academic coordinator of the school and the class teacher of class 10. He has been in the post of teacher in this school since 2009. He holds a Bachelor of Arts in Journalism and Sociology. Suraj has a deep knowledge in his subject matter and has got 7 years of teaching experience. He has received teacher training from Experience UK Ltd twice; 2011 and 2015. He was also trained by Social Studies Forum Nepal in 2014. During the course of his work he has always shown a positive attitude and persistence. When he is not teaching, he enjoys reading, cooking and writing articles local newspapers. He loves to travel and has visited many parts of Nepal. Suraj has a wonderful teaching style in which he combines factual storytelling by sharing his travel and life experiences. This adds an important (centuries old) element of experiential learning to the traditional teaching system. Madan is an ex-student at Shamrock School [2007-2010] He is currently the Health and Physical Education teacher [2011-present] He is also a head warden of the hostel whose duties include conducting Sports as well as various other activities like drama (The Romeo and Juliet production is also a vital funding activity for the school). He has been a proactive member of many teacher training sessions from experienced native and foreign teachers since he joined Shamrock as a teacher. With 9 years of experience at Shamrock, Madan is the longest serving member of staff with the most experience of the school since its’ beginning. Along with other wardens he coordinates both the running of the hostel and the school with Michael (the School Manager). Milan Gurung is a young man with enthusiastic and kind nature. He is an ex- student of shamrock and is now a teacher. He has been teaching in shamrock since 2014. He now teaches Mathematics from class 5 to 8. He also does music with the kids in shamrock. So, he is also a music teacher in school. Furthermore he does sports with the students in Shamrock. He is currently studying bachelor in business administration in one of the well-known colleges in Pokhara. He has been involving in shamrock teacher training from experience U.K. twice. So, he has a good experience in teaching and learning. Having a good leading and interactive way of teaching, he has been able to get good academic results from his students. He has got different leadership skills as he was the head boy of the school leading the students. He is also working as a warden in shamrock helping to look after the students in the hostel and tutoring. He is also volunteered in an institution called ‘Salute Gorkha’ interpreting for an interview class with Mr. Michael Newton, the manager of shamrock. He has also been involving in different social works. He worked on supplying of basic needs to the victims during the time of earthquake in Nepal on 2015. He is a person having potential to guide people and cope with all event. Dipendra is a young, energetic and enthusiastic teaching staff and a warden of Shamrock who joined here in 2009 as a student. He passed through his school life in 2015. He is a student of science faculty and has been staying here as a teacher (Science and Social) and a warden after taken his S.L.C examination. During his student life in Shamrock he involved in many extracurricular activities like arts, drama, karate, sports, trees plantation programs etc. He has also involved in a program of free health checkup for children with a team of Holland. He has also got teacher training from experienced and qualified teachers of native and foreign land. Susmita is a young, energetic and active person. Who is now a hostel warden and a Social and General Knowledge teacher in Shamrock. She came here in 2009 as a student of class five. Now, she goes to Srijana Higher Secondary School for her higher education and she is in management field. She is very interested in arts and handicraft. She helps students with arts. She have learned a lots of life skills like cooking, cleaning, leadership, and ability to understand people and co-operate with them in shamrock School. She admires each and everything what shamrock has given to her and everything what shamrock has given to her and every single shamrock family members who have made her life interesting and meaningful. Durga Rana Magar, ex pupil of Shamrock school and high school graduate of science, is a computer teacher at the school. She with her exceptional teaching ability and motivational personality is able to guide her fellow brother and sisters in unprecendented manner. Additionally, she has been supporting school being a warden and guiding them during their study period. Kamal is an ex-student at Shamrock School [2010-2015] He is a Computer Science teacher [2016-present] He is also a warden of the hostel helping to look after students in the hostel. He is also involved in various activities like sports, photography, drama (The Romeo and Juliet production is also a vital funding activity for the school).He has been involving in shamrock teacher training from experience U.K. twice. Anisha is a young, enthusiastic and active member of Shamrock School, Nepal. She recently joined this school as an English teacher and is planning to motivate them and help improve their English in a better and efficient way. 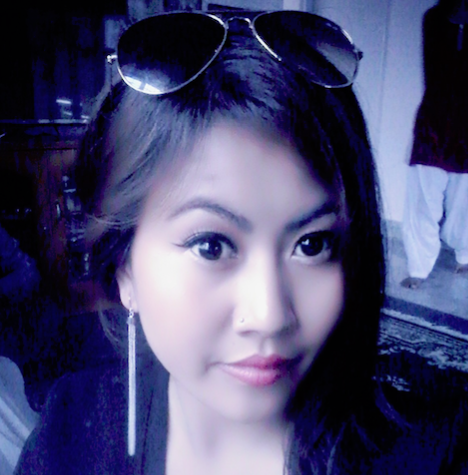 She is a former student of Shamrock school who is currently doing her Bachelors in Major English and sociology and aims to work for the development of society and education system in Nepal. She is a trained motivational speaker and has worked as a youth activist for last three years. She has conducted various seminars and youth motivational programs for different youths of Nepal. She has also been actively working in few charitable events as an organizer. She is also a trained Drama teacher who has organized different dramas in different villages as an awareness program. She plans to take English classes to a very different level as she has been taking tuition classes from a long time to help students improve their English. Kshitiz is a young, outdoor enthusiast and active teacher of Shamrock School, teaching English to class 5 to 7 promoting learning. Prior to teaching at Shamrock, she had worked in a children home for a year as a tutor and later worked in a private school for 2 and half a year as an English teacher. She is a former student of Shamrock who is currently doing her bachelors in Major English and aims to hold a certified teaching licence in a nearer future. She has been a highly active member of teacher training and other leadership trainings given by experienced native and foreign trainers in Shamrock. She is a trained teacher who believes in providing high quality teaching and learning experiences to bring out possible standards from an individual. She loves her job and believe so strongly in the power of education. Pratima has been teaching Nepali, Social to class five and vocational to class six here at shamrock school since July 2017. Her calm, mature and willingness to teach the students in different ways as well as being one of the very few teachers to get teacher training from experience UK, has helped her use different teaching methodology. As a result, she has been able to deliver very good lecture in her classes focused on practice, learning rather than theoretical learning which is reflected by her brilliant academic results. Shree Krishna is currently C.Maths and Optional Maths tacher [2017 – present ]. His permanent address is Palpa Rampur and currently lining in Pokhara. He joined Shamrock as a teacher in 2017 with 2-years’ experience at Shanti Niketan. Shree Krishna is the well serving member of staff with most experience of the school. He has cleared B.Sc. physics is 2017 and has joined M.Sc. in Physics. Sue is a trained lawyer, company owner, mother of two grown up sons and a trustee of Shamrock School, Nepal. She has over 20 years’ experience as a trainer of “consultative solution selling" and demonstrable success of designing, delivering and implementing global training programs. Her clients include: IBM, Samsung, National Health Service, London Ambulance Service, Gatwick Express, various Borough Councils, Infoprint, Plymouth University and Nokia. Sue has been involved with Shamrock School since 2010 with everything from fundraising to renovation. She is a regular visitor to the school, her main role being to coordinate volunteers’ experiences at the school. André has worked in the art world for more than 20 years. He currently heads the Modern British Art department at Christie’s in London and lives in Sussex with his wife Ruth and their three boys Freddie, Will and Tom. He has been visiting Nepal for over 20 years and his passion outside of his work is mountaineering. He was part of the “Everestmax” expedition in 2006 and returned to climb Everest in 2008. André first became involved with Shamrock School as a volunteer in 2010, when he and his family first visited the school (his son possibly being the youngest person ever to visit Everest Base Camp). André’s ties with the school have continued ever since, and he has cemented his commitment even further by becoming a trustee and highly active member of Shamrock Education Trust. Nigel provides advice, training and consultancy to a number of firms which are members of ICAEW and/or regulated by it for Audit or subject to the Practice Assurance regime. He does this through his own company “Totteridge Associates Limited”. Nigel is Shamrock School’s Financial Controller, he oversees all financial aspects of the school and of its Charitable Status. Nigel is responsible for making all legal declarations to Her Majesty’s Revenue as well as to the UK Charities Commission. Lauren has been a head teacher for 15 years. She established one of the first primary federations in the UK and was responsible for the rapid improvement of a number of Swindon’s schools which went on to achieve the nationally recognised category of “outstanding”. In 2012 Lauren co-founded the Whitehorse Federation multi-academy trust, which incorporates primary, secondary, special needs and a teaching school covering Swindon, Wiltshire, Gloucester and Bicester. Lauren has been a member of the primary heads reference group since 2012 and is currently the vice-chair. She has also worked on a focus group and contributed to the review of children’s mental-health. Most recently, she was appointed by the Secretary of State to chair the National committee in response to the workload challenge around data management and assessment. Lauren became involved with Shamrock School in 2014 when she began organizing fundraising events through the White Horse Federation. She then went on to offer closer ties with the school through teacher-training and volunteering her time and experience in the area of school governance. Maëlle is an artist from Brussels, Belgium, living in Nepal and part of Shamrock since 2014. Maëlle studied art, fashion design and graphic design, she is working freelance in the fashion, art & music industry, as a photographer, filmmaker, graphic and web designer. Maëlle believes creativity is freedom of the soul and a chance of self expression. She is teaching art classes in Shamrock School, she is in charge of social medias, photography, web design and graphic design for the school. With the help of her mother, they painted several murals and games inside Shamrock School for the children. She founded We Art One.org a community of artists volunteers which promotes art education for children in Nepal. Mary is an International educator with extensive experience and total dedication to enabling her students to further their education. She has worked as an educator in Spain, France, Scotland, England and the USA and is now volunteering in Nepal at Shamrock School. She has also been running English Summer Camps for teens and children in the Spanish Pyrenees and in Edinburgh, Scotland for a number of years. Mary visited Shamrock School for the first time in October 2010, after retiring from Oak House British School in Barcelona, Spain where she had been a teacher and Primary Coordinator for 31 years. Since then, she has been spending 2 months a year (from mid-October to mid-December) at Shamrock volunteering her efforts and sharing her experience and knowledge. When she is not In Nepal, Mary organises fund raising events amongst other activities to be able to provide Shamrock with new laptops, books for the library, blankets, sports equipment, art materials, etc. Mary has been working with the students of Shamrock School on art-based projects with a focus on famous painters such as Pablo Picasso, Salvador Dalí, Henri Matisse and Vincent Van Gogh amongst others. She believes that Art helps children develop real-life skills, such as problem solving, self-expression and critical thinking while helping build self-esteem, confidence and individual sense of belonging. She has also introduced international projects about Barcelona and Gaudí, Edinburgh and Scotland, Amsterdam and the Netherlands, Anne Frank Diary and Anne Frank House, Van Gogh's Letters to his brother Theo and others. Mary always brings the resources from the country of origin and focuses on Literacy, Geography, History and General Knowledge. "Let's help the children of Nepal together and Never Give Up" - Mary thinks, says and does! Dom is an acclaimed adventurer, writer, photographer and speaker. He was born and educated in the UK after spending much of his childhood in Nigeria and India. He studied Geology at Imperial College, London from which he embarked on a 9-year career with 21 SAS regiment of the British Army. In 2006 Dom led an exceptional team (EVERESTMAX) from the lowest to the highest point on Earth. Starting on the shores of the Dead Sea and finishing on the summit of Everest, the dangerous 8000km journey challenged every extreme and lasted over 6 months. As one of the most ambitious and successful British expeditions in decades - 'The Longest Climb on Earth...' and the ultimate ascent. has never been repeated. The efforts of the expedition are well recorded and have appeared both as a film and a book. Dom also works in education. He is a qualified teacher of Earth Sciences, a Winter Mountain Leader and Wilderness Medical technician as well as being the head of extra-curricular activities at Cheltenham College in the UK. He regularly leads young people on expeditions across the globe and advises many individuals on how to plan and conduct their adventures safely. After the father of a Cheltenham College pupil had seen the work being done at Shamrock School, his daughter told Dom of her plans to travel out to Nepal. From that moment on Dom decided to support the school in whichever way he could, he soon joined the Governing Committee as a leading light in organizing sustainable funding and professional child welfare policies. Fiona spent 20 years teaching and passing on her invaluable experience to children at the Cheltenham college preparatory school. This passion she now continues into post-retirement by visiting Shamrock School where she annually holds a teacher-training session. Her most recent contribution was justly rewarded by the academic results achieved, in which all of the children passed important exams with flying colours. Gordon is the retired Director of Music at Cheltenham College. A gifted musician, he is now a regular visitor to Shamrock providing many varied and much loved extra-curricular activities to the children and teachers. We are highly dedicated volunteers supporting the pupils and teachers of Shamrock School, Nepal. We aim to help them to realise their dreams through quality education. We volunteer our time, our creative, organisational and fundraising skills from overseas. If you would like to become involved in this highly rewarding organisation, please feel free to contact us.